Teachers and students are able to carry out their research and project works utilizing these facilities. Innovative project such as "Characterization of Corrosion resistance properties of hydroxy based compounds in mine water environment from Indian Mines Coal and empirical calculations of thermodynamic parameters" were carried out by students of B.Sc Physical Science and faculty mentor. Our Students had also actively participated in the"3rd national conference on biodiversity and climate change" held in college. The department of chemistry has two well-equipped laboratories (wet and dry) with required chemicals for conducting regular practical class, project reports. Theses labs are also equipped with potentiometer, conductometer, UV-vis spectrophotometer, centrifuge machines, digital weighing balance. The instruments in labs are being extensively used for carrying out various experiments prescribed in the syllabi as well as training the students in the improvement of experimental techniques. Proper segregation and disposal of all solid and liquid waste generated during practical is strictly followed. The departmental library has a vast collection of text books, reference books such as organic chemistry, physical chemistry and inorganic chemistry from publishing houses such as Oxford, PHI etc. 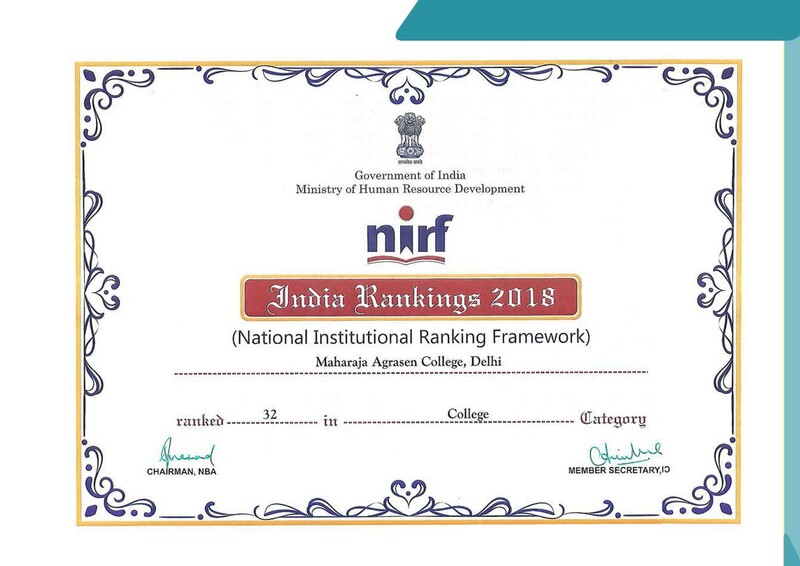 One of the department’s missions is to apprise and encourage students to the exciting career in the fields of science and engineering. 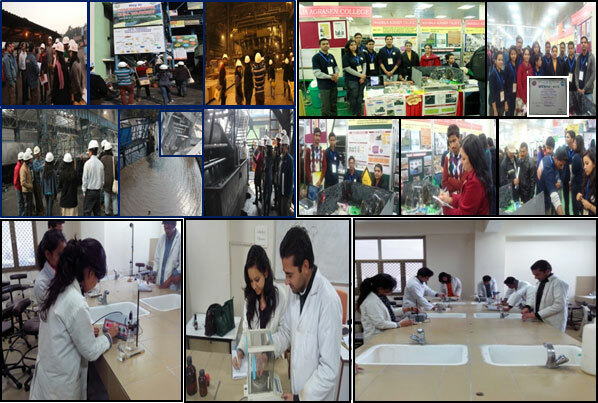 Several educational visits have been conducted so far such as JSPL, NASC Museum, IARI etc. for encouraging students to pursue career in the critical fields of science and technology. Chemistry labs consist of two undergraduate laboratories serving I, II and III year students of B.Sc. Physical Sciences. The laboratories are equipped with state of the art instruments and apparatus for high quality lab training. The students get hands on training on these sophisticated equipment and thus acquire a better and up to date understanding of latest instrumentation methods and principles. Undergraduate classes are conducted in separate laboratories viz. Chemistry Wet Lab, Instrument Lab and Weighing Balance room. The laboratory is dedicated to Organic and Inorganic synthesis and analysis. Fume Hoods (LabQuip) – Safety is of prime importance to us! Fume hoods with its powerful ventilation mechanism ensures a minimum exposure to hazardous or toxic vapours or dusts in the laboratory. The laboratory is dedicated to Physical, Analytical and Instrumentation Chemistry experiments. Chemical contamination and waste management is big environmental hazard. The students are well trained to follow proper disposal of hazardous chemicals before they begin with their routine experiments. General instructions about lab safety and various first aid measures are displayed in the form of charts inside the laboratory and the students are impelled to follow these instructions for maintaining a safe working environment. It is mandatory for all the students to wear protective clothing and gloves while working in chemistry wet laboratory. There are separate disposal bottles where acids, alkalies and organic solvents are collected after use instead of throwing them in sink. These waste solvents are either reused after purification or used for cleaning of glass apparatus/ hard surfaces for tough stains. Any hazardous material used in the laboratory such as sodium metal, mercury, bromine etc. are properly treated into a non-hazardous form before its disposal into environment. Wherever possible, a simulated demonstration of the experiment is shown to students via smart classes to ensure a thorough understanding of the experimental procedure without wasting any chemicals. The use of simulations for demonstration has proved to be a much better way of saving on chemicals and minimizing the wastage! The results of students of chemistry have been excellent over the past years. Ms. Manjari, Ms. Uma and Mr. Anuj students of BSc. Physical Science III year have secured 100 % marks in Chemistry in year 2015. Mr. Gaurav, BSc. Physical Science II year secured O grade in the year 2017.